Christmas 2017 is fast approaching. If you are sending a gift to a friend, loved one or client make sure it arrives in time for the big day. We select specialist courier services to ensure safe delivery of your Christmas gifts and business parcels. 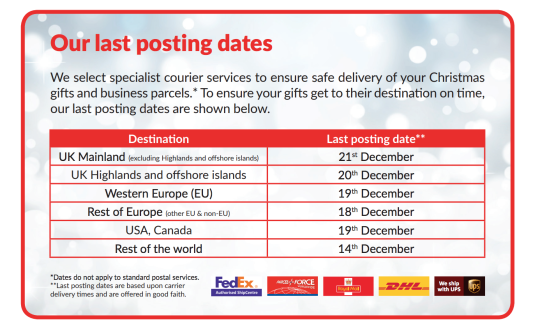 * To ensure your gifts get to their destination on time, our last posting dates are shown below. *Dates do not apply to standard postal services. 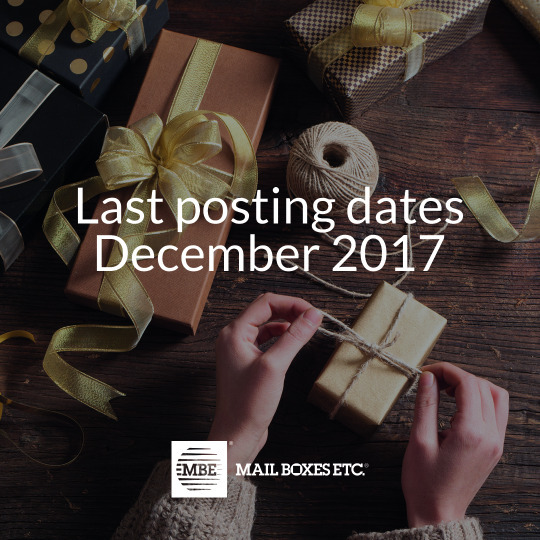 **Last posting dates are based upon carrier delivery times and are offered in good faith.